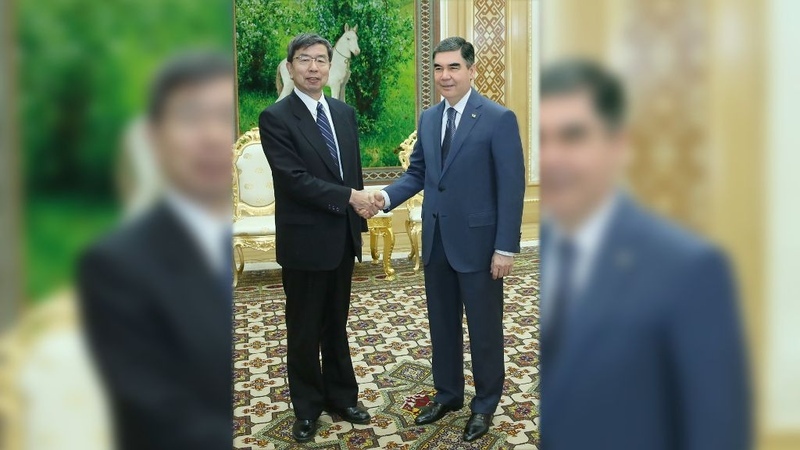 AKIPRESS.COM - Asian Development Bank (ADB) President Mr. Takehiko Nakao and the President of Turkmenistan Gurbanguly Berdimuhamedov met today to discuss ways ADB will further strengthen its partnership with Turkmenistan. Mr. Nakao also met Deputy Chairman of the Cabinet of Ministers (Economy and Finance) Mr. Gochmyrat Myradov, Deputy Chairman of the Cabinet of Ministers (Transport and Communications) Mr. Mammetkhan Chakyyev, and Chairman of the Central Bank of Turkmenistan, who is also the Governor for ADB, Mr. Merdan Annadurdyyev. During his meeting with President Berdimuhamedov, Mr. Nakao expressed support for Turkmenistan's development priorities in energy, transport, and the financial sector. He also congratulated the government on its leadership as chair of the Central Asia Regional Economic Cooperation (CAREC) Program this year. Turkmenistan will host the 17th CAREC Ministerial Conference in Ashgabat on November 15. During the meeting, Mr. Nakao also commented on Turkmenistan’s solid macroeconomic performance. A recent rise in oil and gas prices, which have been low since 2014, should contribute to higher budget revenues for the government and support economic growth. Last week, ADB approved a $500 million assistance to strengthen Turkmenistan’s transmission infrastructure to improve the reliability of its power supply and promote electricity trade in the region. ADB is also supporting cooperation among customs authorities of Turkmenistan and other CAREC countries—and has provided technical assistance to support the country’s sanitary and phytosanitary measures for food safety and agricultural trade.